Snoring Home Remedies - The 7 BEST solutions! Snoring home remedies can help you to snore less, or even stop snoring, using some simple techniques and cheap items that are easily available. First, snoring can keep your partner awake or disturb their sleep quality. Second, snoring is a sign that you have a breathing problem, which is a HEALTH problem for the snorer! Snoring happens when the flow of air through your nose and throat is restricted. There are several reasons for this, but one of the commonest is extra or loose tissues in the throat. This comes from carrying extra weight, or being overweight. Other causes are having a low, thick palate, and having an elongated uvula (that little flap of tissue that hangs down from your soft palate). Also congestion in your nose (say from hay fever, or just having a cold), or a structural problem in your nose (such as a "deviated septum") may contribute to snoring. SO, what snoring home remedies are the best? It all depends on the cause of your snoring. If you can pin down the CAUSE, then you should aim to use a snoring remedy that matches. Let's look at the simpler ones first! If you are carrying a little extra weight, the simplest (and healthiest) option is to lose little weight. By losing some weight, you are likely to reduce the bulk of fat tissue stored in your neck, which will allow your airway to open up a little. That means you're less likely to snore! If you have got a blocked nose (nasal congestion) from a cold or 'flu, then try an over-the-counter decongestant from your local pharmacy. These "cold cures" frequently contain Cetirizine dihydrochloride and Pseudo Ephedrine hydrochloride. I think this type of medication is great for allergies such as hay fever, because they contain less of the "sleepy" medicine (Cetirizine) and an extra component (Ephedrine) to help you breathe. However, this solution is only for SHORT TERM USE. You can't take this sort of drug long-term. For nasal congestion, you can also try 1 or 2 drops of something like tea tree oil, menthol-containing essential oils, or a tiny smear of Tiger Balm on your nose or neck. These are are "natural" snoring home remedies, and can be used long-term. A similar solution for mild to moderate snoring that many people like is an anti snoring pillow. Again, this is a "natural" remedy for regular, long-term use, although it's hi-tech and requires the use of a smart phone. I have reviewed LOTS of anti snoring pillows, and the BEST anti snoring pillow is from a German company called NiteTronic. Try to sleep on your side. When you sleep on your back, your tongue falls backwards into your throat, narrowing your airway and partially obstructing airflow. If you find that you tend to wake up at night on your back, try sewing a tennis ball into the back of your sleeping top. This will poke you in the back if you lie on your back, reminding you to roll over onto your side! Try raising the entire frame of your bed at the head end by about 4 inches. Make sure it's secure before you get into bed! Having your bed on a slight slope mean that you head is a little higher than your body, which reduces the blood pressure in your head and neck, slightly reducing congestion your throat and opening your airway a bit. Try to reduce or even eliminate alcohol intake, especially in the last 2 hours before going to bed. Alcohol tends to relax the muscles around your throat and jaw, allowing any slack tissues to fall back into your airway and allowing your lower jaw to fall back, which also restricts your airway. You should also try to restrict use of sedatives and tranquillisers, for the same reasons as alcohol. And if your doctor wants to prescribe you sedatives for some reason, make that he knows you tend to snore already! Stop smoking. This is also of huge health benefit generally! Make sure you are getting enough sleep. This is becoming more of an issue in our hectic world as we approach 2020! Adults generally need at least 7 hours of good quality sleep, but 8 to 9 can also be normal for some people. 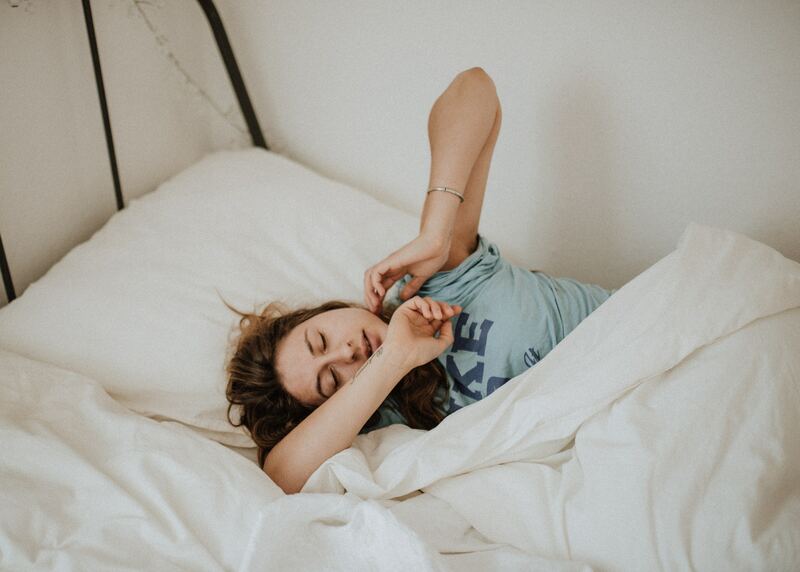 Sleep experts give these extra tips too - it's normal to experience a period of light sleep/wakefulness about 3 hours to 3.5 hours after going to bed. Then you fall into deeper sleep again. ALSO, when you wake up in the morning, you've had enough sleep, so try to GET UP straightaway. This "sets your clock" for your sleep cycle!